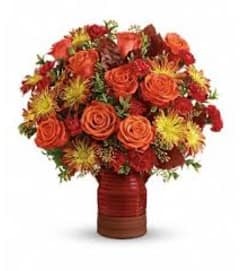 Make this Valentine's Day one to remember with this stunning art glass piece, wrapped in a ribbon of crimson glass and filled with fabulous flowers! 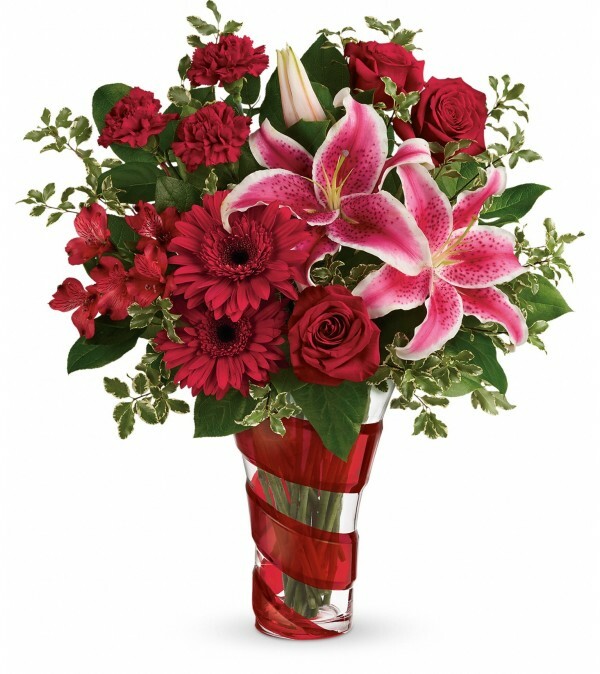 Red roses, hot pink oriental lilies, red gerberas, and red carnations are arranged with pitta negra and lemon leaf. 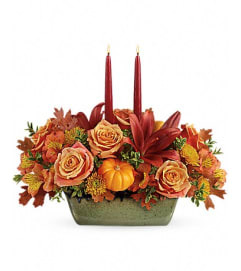 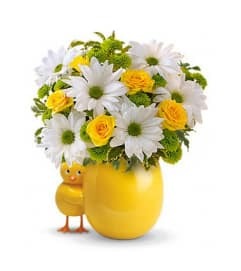 Delivered in Teleflora's Swirling Desire Vase.